Welcome to another update after what has been, as usual, a busy time for Mphatikizo. From our family’s view point we are all very excited as in a couple of weeks I will be rejoining Regina and the kids in Malawi. As a family it has been a long hall for us all, but Regina has done a wonderful job flying solo in my absence. Mphatikizo is looking at a very busy time entering the Christmas season with three volunteers arriving early October and staying until the New Year, and another four arriving via London late January and staying until March. Another exciting development is the Medical Clinic at the Orphanage. It should be able to begin operating in November all thanks to Dr Derek Allan, who we hope will be visiting for a month arriving mid to late October. Final dates have yet to be confirmed but Regina and I have begun the obligatory bureaucratic nightmare associated with running a community based Out-Reach Clinic. This is a wonderful opportunity given to us by Derek who works with local communities in many countries all around the world. The picture on the left shows a new functioning borehole at the Manganda Village in Machinga. Mphatikizo was approached some time ago by this community to assist in repairing the pump which had fallen into disrepair and was no longer functioning. Together with community members who maintain the Orphanage borehole, locals have been taught how to repair the pump, with Mphatikizo supplying the replacement parts and the community the labour. This has resulted in the community learning about how to maintain their own pump and they also have their own sustainable water supply. This project cost us $170 New Zealand Dollars with immeasurable benefit! The above picture shows one of the houses in Malindima Village which recently suffered along with the rest of the village from early and substantial heavy rains. 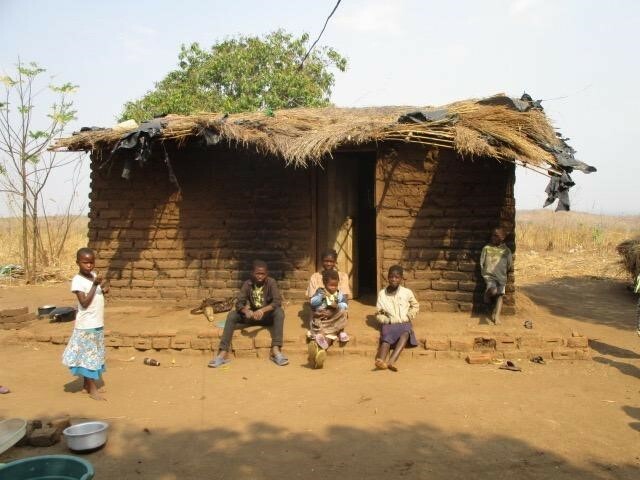 These rains saw numerous families flooded with children living in damp and wet conditions for days. 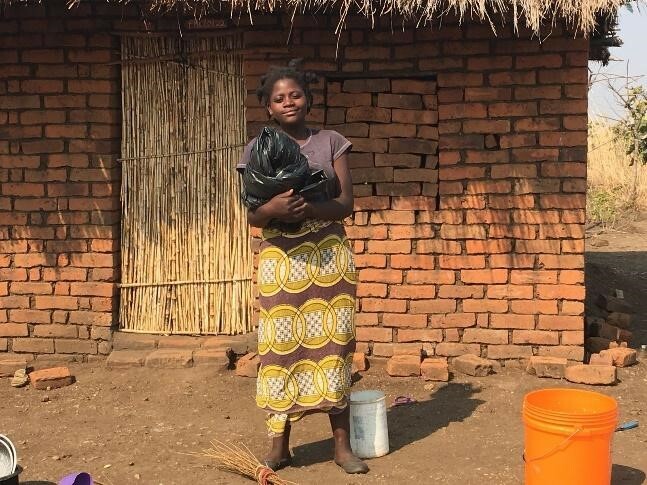 Mphatikizo supplied plastic sheeting to all the households to effect emergency repairs but this is by no means a long-term solution. We have been for some time setting up a project to supply iron sheeting to re-roof some ten households in the village along with much needed repairs to the buildings. The picture here shows a member of the community with their plastic sheeting. These rains highlight the need to get this project off the ground. As always, we need funds to get this project started, with all and any help much appreciated. 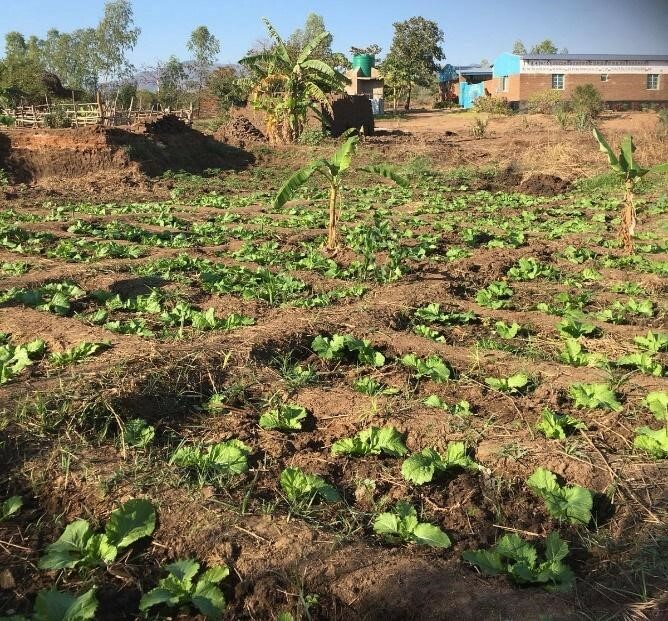 The market garden continues to flourish and now helps both the Orphanage and feeding centre by providing produce as well as helping vulnerable families in the community. Ultimately, we would like the gardens to provide a surplus of produce which can be sold to help generate funds for the work in the local community. The market gardens also provide a great platform from which to run educational projects such as irrigation, sustainable farming practices and the use of organic composts. This project aligns well with Mphatikizo’s mission and from the very first day, has shown wonderful results which the pictures show. Currently the gardens produce carrots, cabbage, tomatoes, kidney beans, kale and sweet potatoes. Awesome results… and more to come.